Lawrence Cooley has been performing live for the better part of 20 years both as a solo artist as well as with numerous groups. Lawrence performs cover songs as a solo acoustic act and with his band in clubs, bars and private parties all over NYC, CT, NJ & The Hamptons (also willing to travel!). His ever expanding set list includes hits from the 60's, 70's, 80's, 90's and today's top 50. 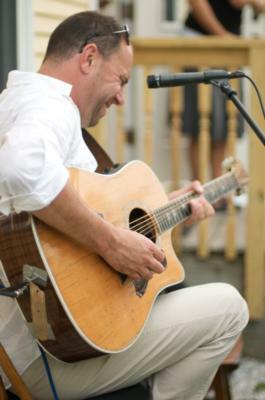 Being a versatile musician, Lawrence can also can also cater to your special request list! With the ability to provide sound at any type of location, Lawrence has the experience, attitude and know how to make your event memorable. In addition to that, he can also provide add-on's such as a female counterpart, drums, bass and a full out rock band. Possessing the right sensibility and chops to appeal to both young and old, Lawrence covers the full spectrum of musical generations. A fan once noted that very few artists can go from a beautiful rendition of "What Wonderful World" by Louis Armstrong, to "Crazy" by Seal, to "Blister in the Sun" by the Violent Femmes, to " Hey Hey" by Led Zeppelin, and play them all so uniquely, and passionately, leaving everyone in the room smiling and grooving. To compare Lawrence to other artists to get an idea of his style is of course difficult, but many people have said that he sounds like a funky Dave Matthew's when playing acoustic, and if your closed your eyes while listening to him cover a Bob Marley song you would think Bob had come back to life. But hey, don't take anyone else's word for it, see him play for yourself and tell us what you think! One thing is clear about Lawrence Cooley, he puts his heart and soul into what he loves to do, play music. Audiences are often left exhilarated and exhausted. He is a music lovers musician. If there is a song or sound you are looking for in a performer to move a crowd for a wedding, back yard celebration, beach bbq or graduation party, look no further - Lawrence Cooley delivers and then some. Lawrence covers the songs of his favorite artists with a penchant for making them his own. His vocal ability has been said to be his greatest quality. Steve Tarkanish, of Stars productions, after hearing him, offered him a contract and said, "In all these years I have yet to hear a voice like yours that can emulate so many artists, sing so many different styles and still have a unique sound of it's own". He will tear from his rendition of Ant's Marching by Dave Matthew's into Dave Mason's "Feelin' Alright" as if they were born of the same mother. Cooley's experience and versatility gives him the magnetic charm to appeal to everyone. Audiences are amazed at the obvious fact that Cooley not only delivers but exceeds their expectations. If there are two people in the room or two thousand, he has a way of pulling you in. He loves to interact with the audience, to him it is a challenge, the music being a shared experience. The result is a truly dynamic performance beyond the typical solo acoustic experience. For instance, he will lay down a percussive groove by drumming on his acoustic guitar while recording it through a loop station. Then he will overlay a bass line, then a rhythm part, until you hear a distinct full band sound. As the song progresses he intertwines more intriguing melodies and harmonies on his guitar, going from the crybaby (wa-wa pedal) to the slide guitar all in the same song. He has he natural ability to play a myriad of acoustic styles seamlessly, from funk to pop, to blues, to reggae, to soul, without blinking an eye. Lawrence performed at the cocktail hour of our son's Bar Mitzvah, and played a terrific playlist of 90s-00s acoustic songs. We worked on the playlist together based on a list he provides. Our guests raved about how good he sounded and overall we were very impressed with his performance. I will definitely use Lawrence for events in the future. Absolutely phenomenal performer and entertainer!!! I will hire Lawrence everytime the opportunity arises. He is a 10 on a scale from 1 to 5! Lawrence Cooley is a real professional with a deep passion and appreciation for music and life. From day one I knew Lawrence Cooley was the pick for us. My wife and I were married 08/25/2012.I am horrible at following up on feedback as you can see on this timely reply. Lawrance is one of those unforgettable artist that will engage and captivate a special moment no matter what the occasion may be. He really made our wedding day special, intimate and unforgettable. Lawerence was super flexible, learned a song per our request, has an extensive play list, was willing to travel for a relatively short performance and received tons of positive comments from our guests. Some guests asked for his information that night. We wouldn't think twice about reccomending him and requesting him to play again. 5 out of 5 stars! 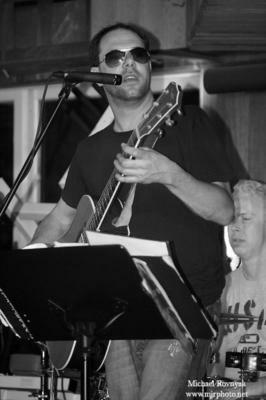 Lawrence is very talented and passionate about his music, we highly recommend him for any occasion! Very accomodating and audience engaging! Lawrence was amazing! Everyone at the wedding had great things to say. The performance was perfect, and Jonathan was unbelievable on guitar. Lawrence's voice was terrific, and the energy was awesome! I wouldn't have had anyone else play my wedding, thanks Lawrence! Please note Lawrence Cooley will also travel to Long Island City, Brooklyn, North Bergen, Bronx, West New York, Union City, Weehawken, Flushing, Fairview, Edgewater, Hoboken, Jersey City, Ridgefield, Cliffside Park, Palisades Park, Fort Lee, Secaucus, Ridgefield Park, Leonia, Englewood Cliffs.